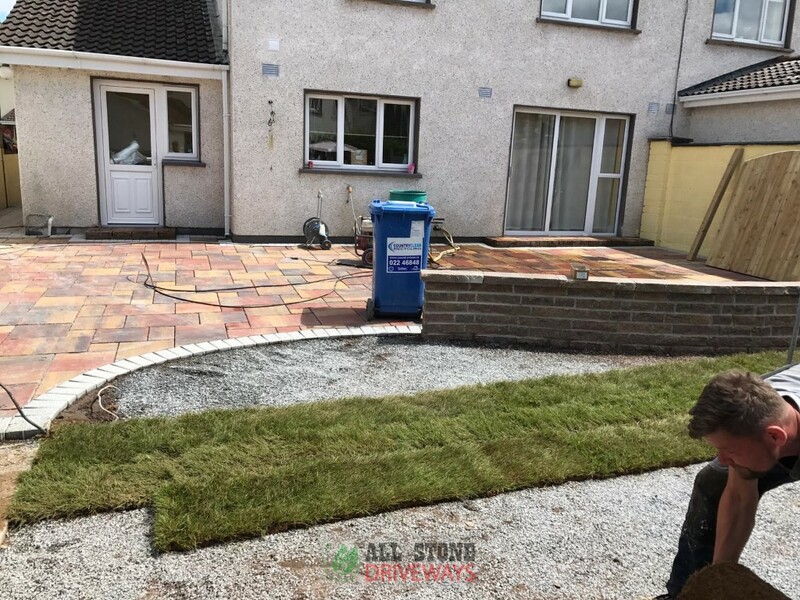 If you are looking to build or replace your old patio area in Cork, give the team at All Stone Driveways a call today. Cork’s finest patio contractors. 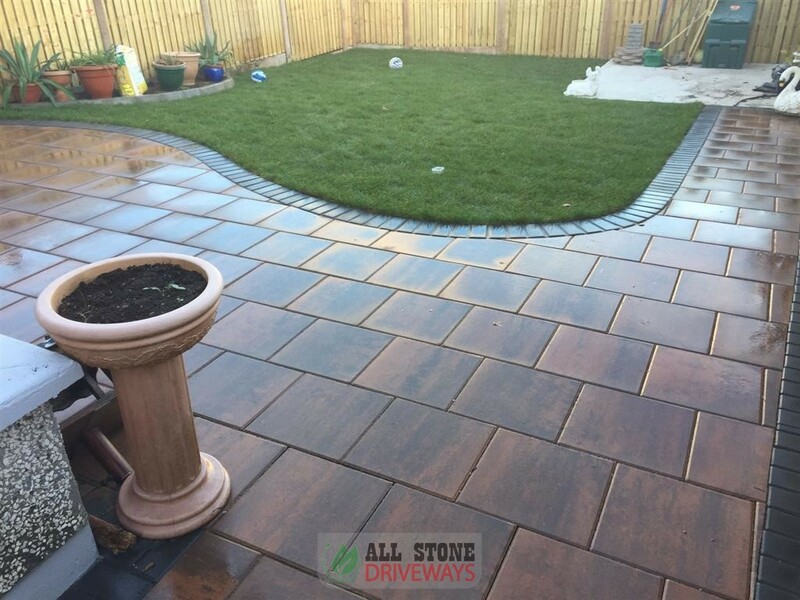 Experts at replacing patios with a range of options including garden paving, patio paving, patio flagstones and natural stone products. 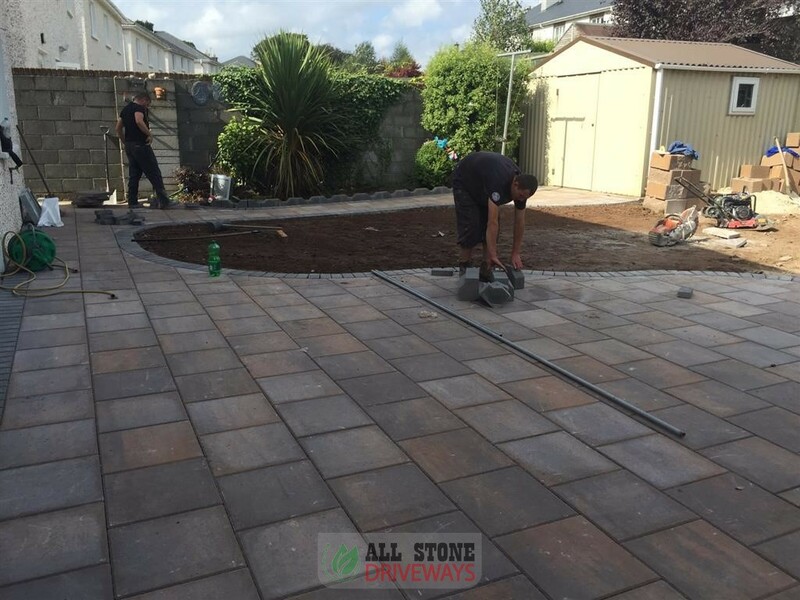 Patio transformations allows us to really bring our work to the next level. 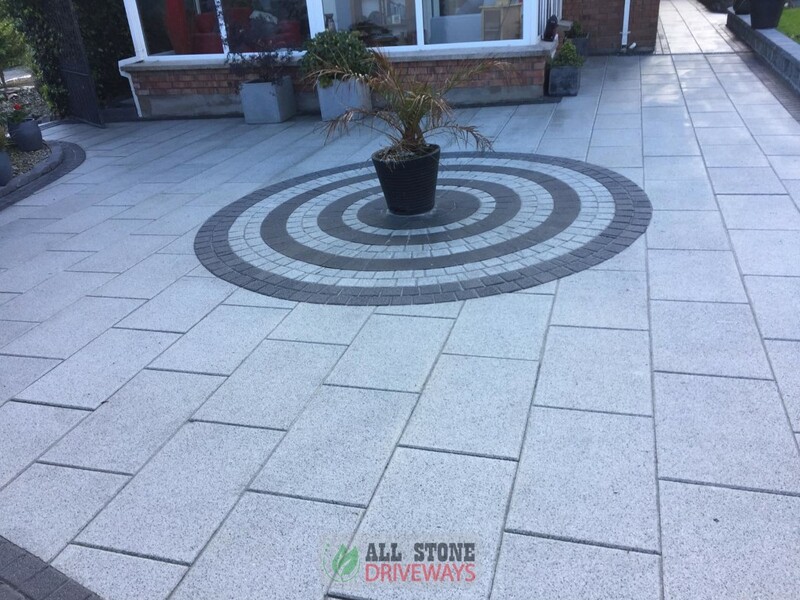 Nature can be abound in the garden or patio of your house and when you can tie that in with decorative stones, slabs, paving or a nice water feature, it can really set it alive. 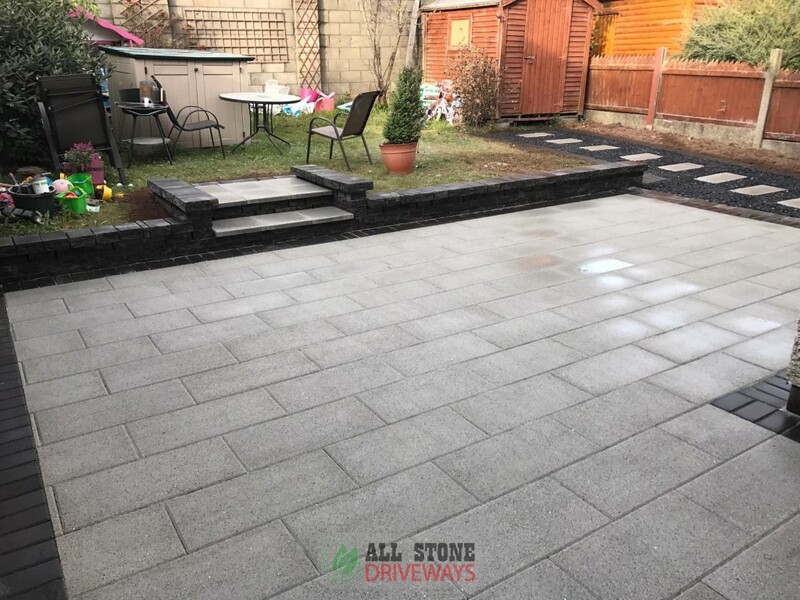 We offer a free call-out service so we can come out and give you an accurate and competitive quote on replacing your patio in Cork. 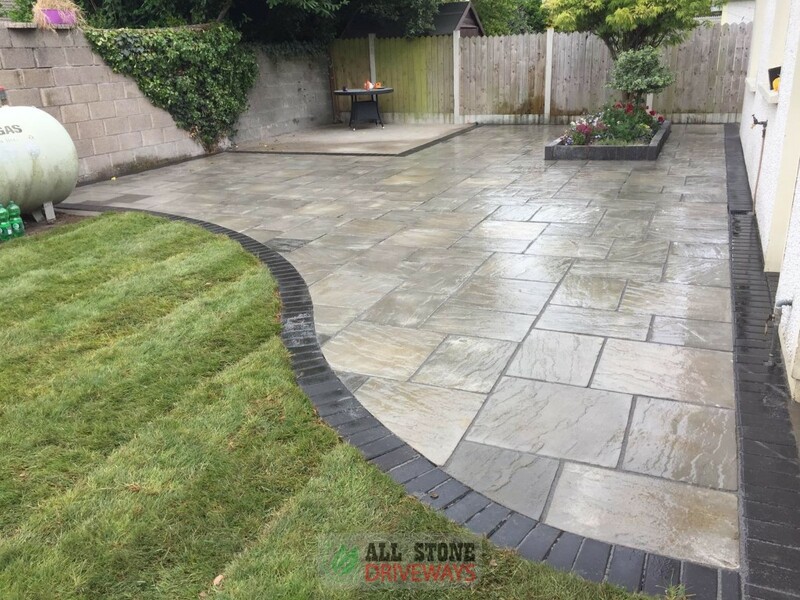 Let All Stone Driveways transform your patio today using garden paving, patio paving, flagstones or natural stone like Indian sandstone. Quality work, affordable prices. Patios have to fulfill certain factors but at the same time making sure it is unique and somewhere that you can truly relax in. It needs to be practical for sitting out in but also eye catching that you can admire it from the rear window of your house. We believe we can manage both these things at not only a fraction of our competitors price but in a way that will delight you as well. 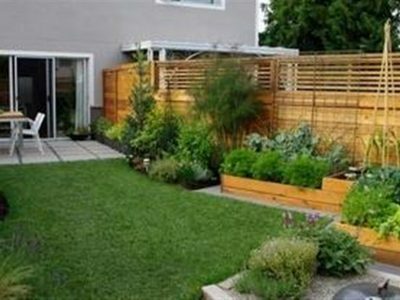 There is a huge amount of things that can be done in a patio area to make it unique. Sundial circles, brick benches, water features, lounge areas, curved and unique pathways to name a few. The styles are endless. 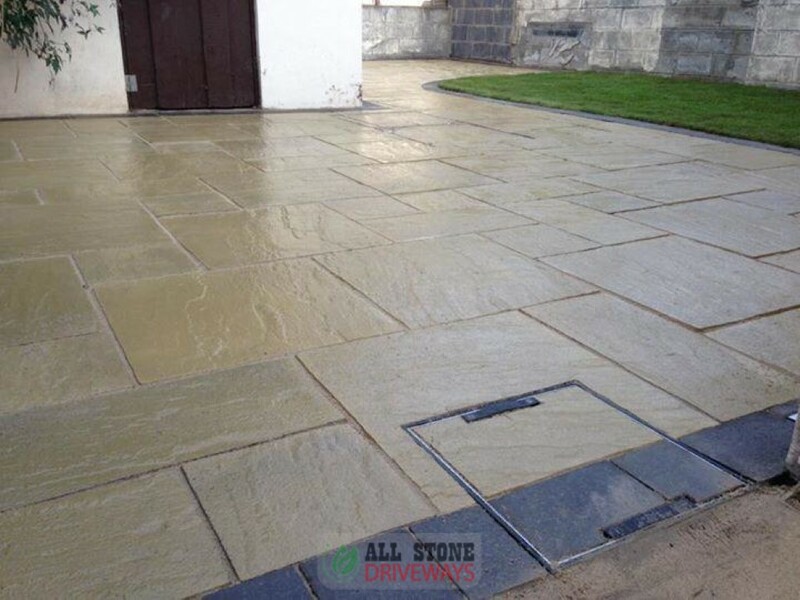 Paving, Indian sandstone, gravel, weathered stones, slabs, the list goes on and on. 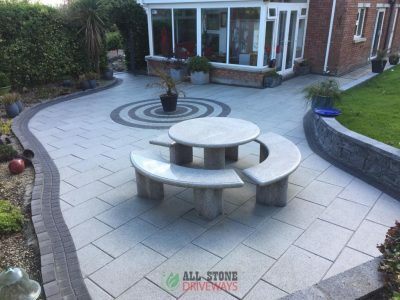 We have completed some truly remarkable patio areas and if your looking for a paving contractor in cork to do yours, you wont find better value or workmanship than us. 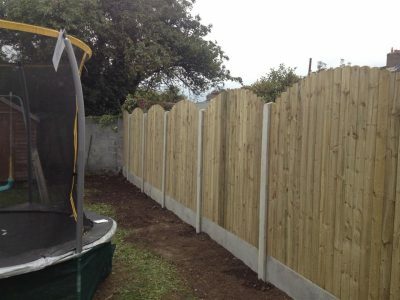 We offer a free call out service and quotation service 6 days a week. 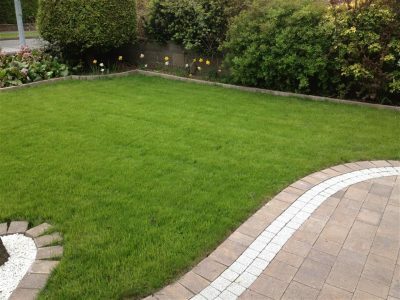 Our team is fully trained and experienced at every aspect of designing and installing all patio areas. 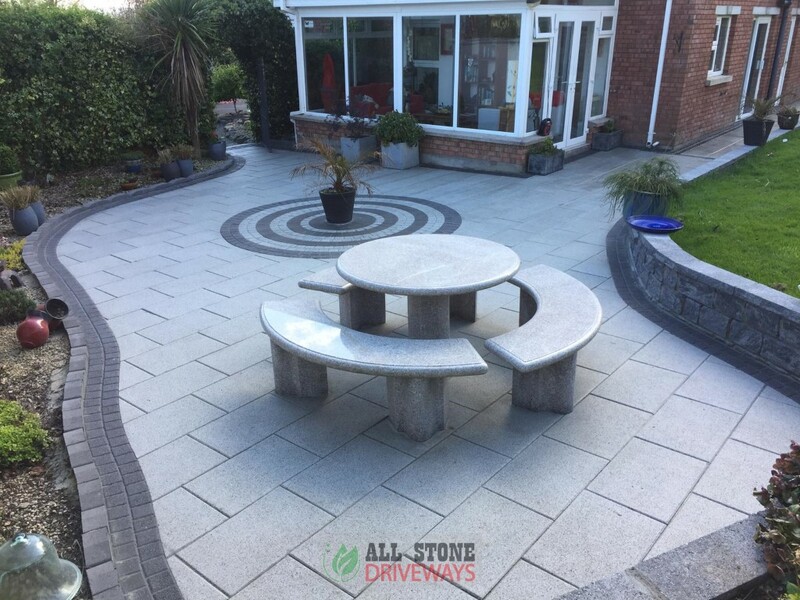 If you don’t see a particular idea or design that might be thinking of, please call and we would be more than happy to go through our full portfolio of patio projects with you.